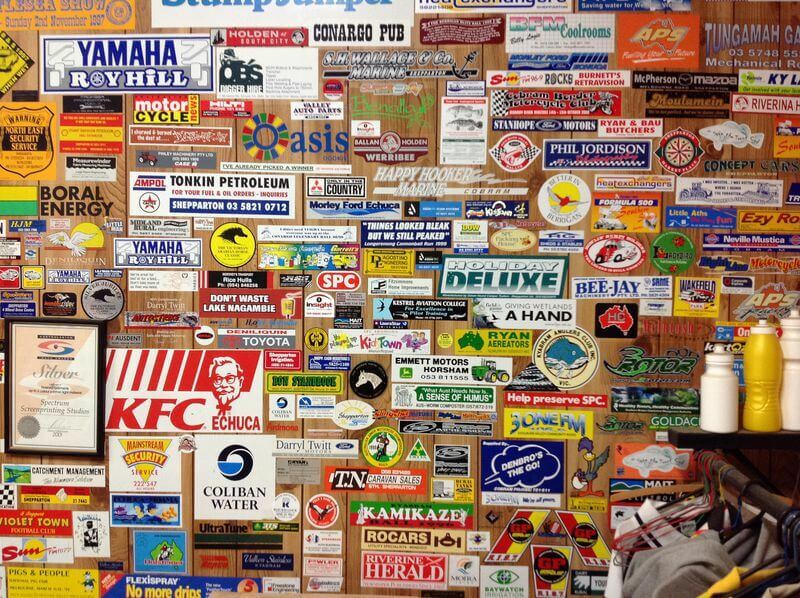 Spectrum Screen Printing has over forty years experience printing vinyl stickers. Primarily for outdoor exposure, or industrial application our screen printed stickers are produced in house using quality PVC vinyls or polyesters and UV resistant inks. We use custom quoting software to establish the lowest price we can and avoid material waste. Our stencil and film production facilities are state of the art, and we pride ourselves in having an excellent reputation for quality and value. More diverse products are available for specialised applications such as electronic touch panels or component front panels, decals for product serial numbers, or stickers for service date due and product branding. 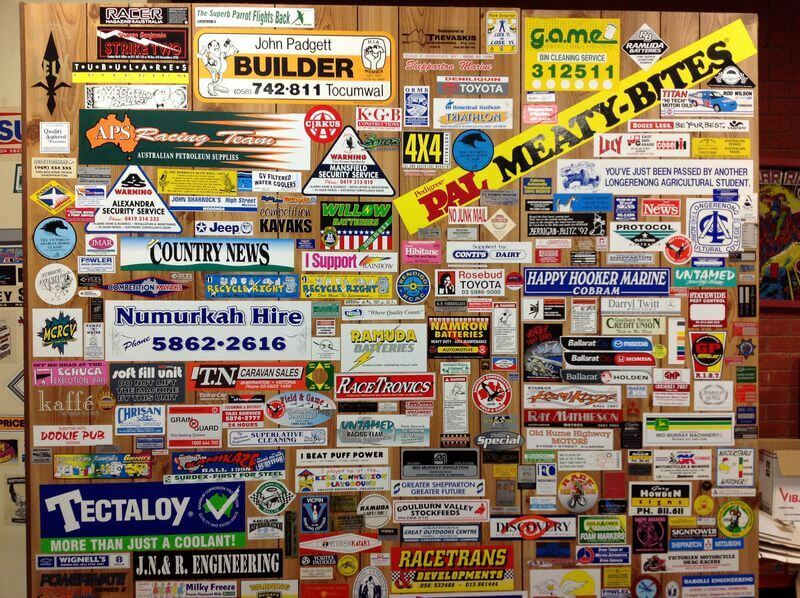 Of course we also produce lots of good old fashioned bumper stickers for event promotion, club branding, advertising, as well as servicing the automotive sales, and general manufacturing industry. We simply need to know an approximate size, and quantity to prepare a competitive quote for you.